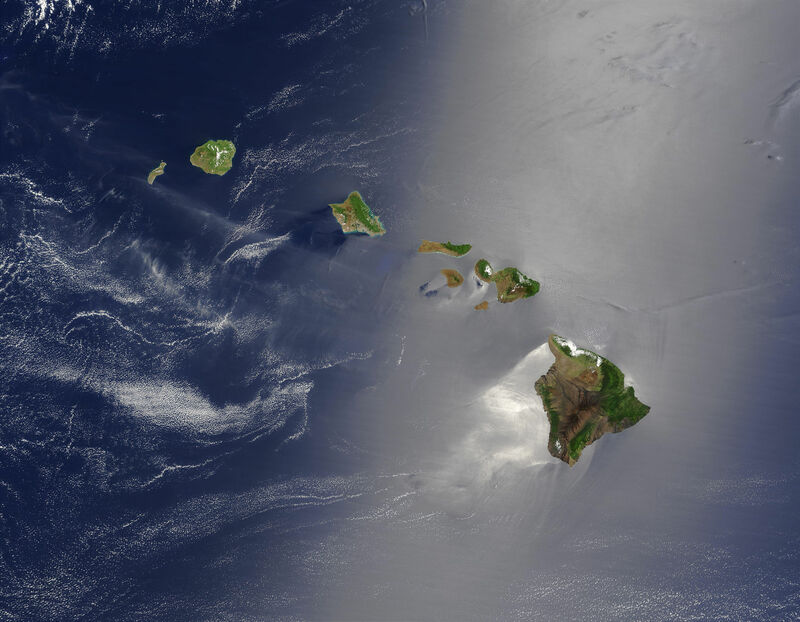 "If the Hawaiian Islands hadn't been thrust above sea level by volcanic and tectonic forces some 70 million years ago, it might have been necessary to invent them. Consult a map: the Pacific Ocean is the single most prominent geological feature on the planet, covering one third of Earth's surface. This vast body of water stretches some 9,600 miles north to south, from the Arctic Ocean to the Southern Ocean and, at its widest point, some 12,300 miles east to west, from Indonesia to the coast of Colom­bia. The Hawaiian archipelago's eight major islands are smack-dab in the middle of the north-central Pacific, so close to equidistant between Asia and the Americas that one of the chain's smaller islands, where Japan and the U.S. battled in the war, is named Midway. "The South Pacific is speckled with island chains: the Solomons, the Philippines, the thousands of islets that compose Indonesia. But in the central Pacific north of the equator, land is rare. Sometimes geography is des­tiny, and Hawaii, perfectly placed to serve as landfall and supply depot for ocean-crossing ships and airplanes, is one of the most valuable strategic holdings in the world. From the days of sail to the age of steam to the era of nuclear power, Hawaii has offered mariners a welcome port for patching up ships and sails; taking on fresh wa­ter, food and fuel; and resting and recuperating from the challenges of long months of life at sea. "Polynesian mariners came to the islands first, reaching them, scientists estimate, around A.D. 400. European navigators, halfway around the globe from home, arrived in the 18th century, but their advent was troubled. Capt. James Cook, the commander of the British ships explor­ing and charting the Pacific that made landfall here in 1778, was slain the following year by the descendants of those wandering Polynesians. "In 1819 American merchant ships that followed the migrations of sperm and bowhead whales around the Pa­cific began putting into port in Hawaii. Their crews were delighted to find a society whose sexual mores were un­shadowed by guilt, a state of affairs that deeply troubled the stem Protestant missionaries who began arriving in the islands one year later than the whalers, and who strove to put the sailors' licentious behavior to an end. "From the 1820s to the 1860s, Hawaii was the center of the Pacific whaling industry: 60 U.S. ships docked in the islands in 1822, and by 1846 the number had risen to 596. When whale oil was replaced by petroleum as the fuel that lit American lamps in the 1860s, and as the days of wind power evolved into the era of steam power, agri­culture became the islands' primary industry. Hawaii ex­ported sugar, bananas, pineapples and more to the U.S., often under the control of the descendants of those early missionaries. Workers from around the Pacific Rim­ -- Chinese, Japanese, Filipinos and others -- came to Ha­waii to tend its rich fields, and as they intermarried, the islands became a diverse melting pot, even as Hawaii's economic and political north star remained the U.S.
"Hawaii soon developed another great economic en­gine: tourism. In 1866, when the first regularly scheduled steamship link between Hawaii and the mainland was opened, the young writer Mark Twain stepped off the Ajax and onto a Honolulu dock, beginning a four-month sojourn sponsored by the Sacramento Union newspaper. Twain's 25 long dispatches to the paper brought the ex­otic culture and natural beauties of the islands to a vast reading public on the mainland. 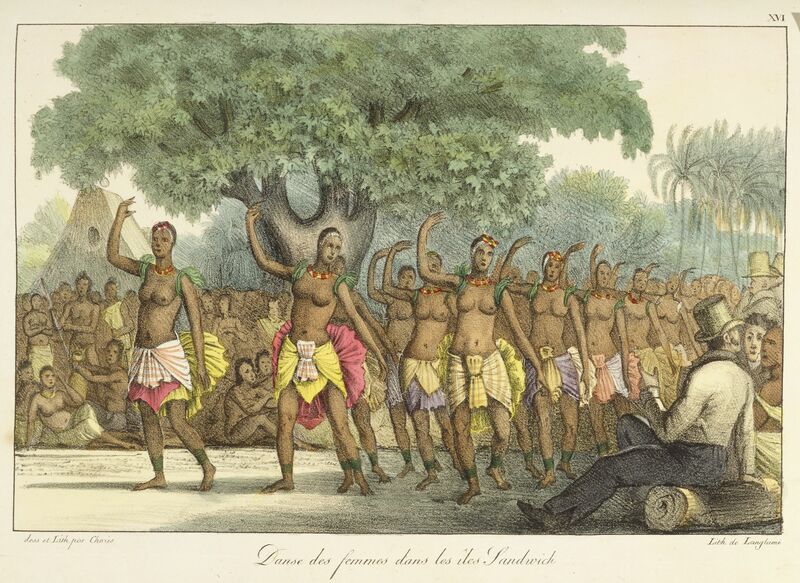 His thrilling accounts of the islands' live volcanoes, livelier lasses, hula dances and temperate breezes helped establish the archipelago as the paradigm of the tropical paradise."